At Carisbrooke Dental Practice we are very sensitive to patients who are anxious when visiting the dentist. This may have been caused by a previous unpleasant experience at a dental practice or the development of an unexplained phobia. Whatever the cause of your fear, we treat all our patients with respect and will put you in control of your experience. It may also be appropriate and helpful to prescribe sedation if you have a sensitive gag reflex. This can be embarrassing – as well as more challenging for the clinical team providing treatment. We want to make your visit to Carisbrooke relaxing and anxiety-free which is why a number of our providers are fully qualified and experienced in sedation techniques. Conscious sedation is the safe and effective administration of drugs that relieve anxiety, increase relaxation and put you at ease. The versatility and safety of conscious sedation coupled with the many benefits to the patient make conscious sedation the perfect choice for many dental procedures. 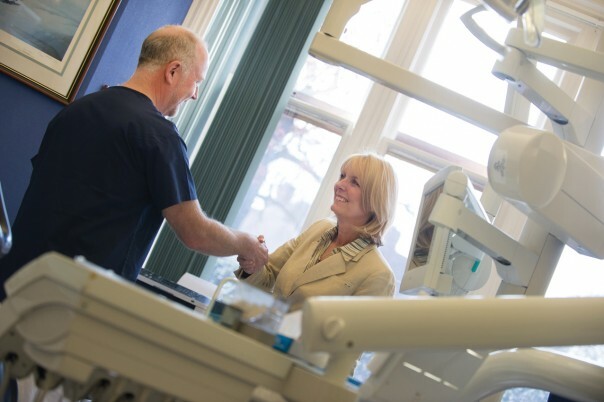 If you have not been able to attend a dentist due to your phobia, we offer the opportunity to visit the practice so you can meet the team and explain your concerns. Only if you are completely comfortable with the idea of sedation would treatment then be considered.